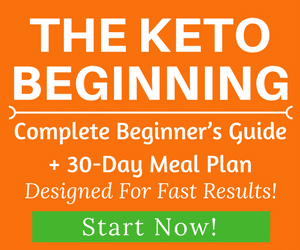 A lot of people embark on a keto journey because of where their addiction to sugar and carbs has led them, and for many this is not a happy place. 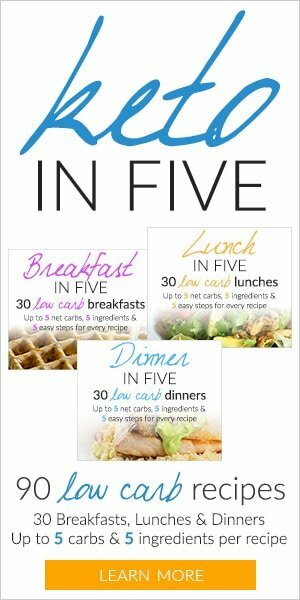 However, you don’t need to completely give up on desserts or on sweetening your morning coffee. In fact, there are many different ways to substitute sugar, minus the carbs, the calories and the negative effects. 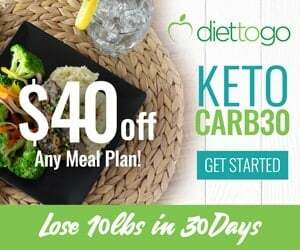 If you are following a low carb ketogenic diet and looking for sugar substitutes for your foods, this guide is for you. 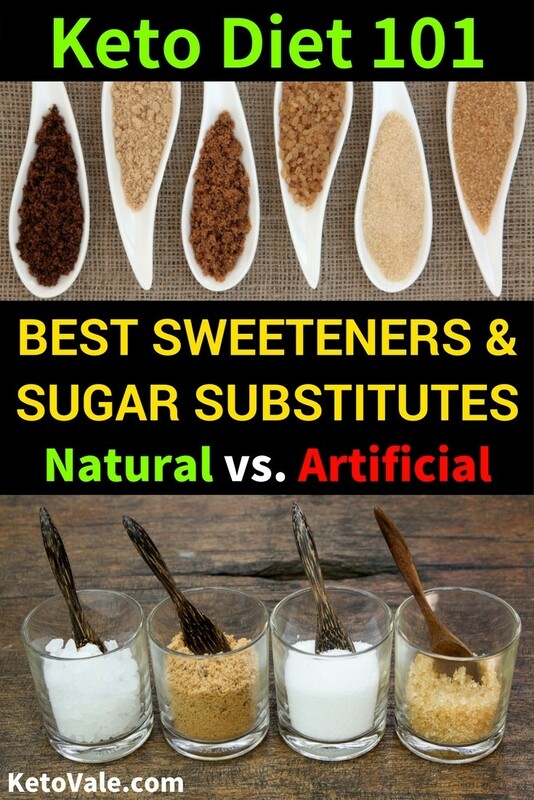 The sweeteners that you can use on a ketogenic diet fall into one of the two categories, natural or artificial. We’ll discuss each category in detail below, so if you want to know which ones are the best for you, read on. The best natural sweeteners for a ketogenic diet are Stevia, Erythritol and Monk Fruit. Honey and maple syrup, although natural and having a lower glycemic index than sugar, are best avoided, as they are quite high in carbs and will raise blood sugar. One of the most popular sweeteners out there, stevia is extracted from a plant named Stevia rebaudiana and is between 100 and 300 times sweeter than sugar (the exact number is disputed). This means that it’s very, very sweet – if you’re using pure stevia extract, you’ll only need a tiny amount of it to sweeten your coffee or the dessert you’re preparing. Start with less and add more as necessary. Its active compounds are called steviol glycosides, and they are responsible for the sweetness of stevia. They are heat- and pH-stable, which means you can use it for baking or to sweeten your coffee or tea. A number of studies have been done on stevia, and the consensus is that it is completely safe for human use. In low doses it can even have anti-inflammatory, anti-oxidant and organ-protective properties, however more studies are necessary regarding these properties. At higher concentrations stevia can have a slightly bitter aftertaste, which makes it unpleasant for some people. To avoid that, you can simply mix stevia with another sweetener, for example Erythritol. 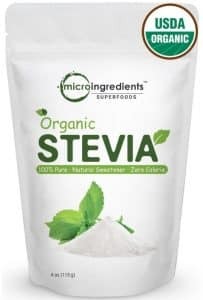 Stevia is sold both in powder and liquid form. When buying stevia, always check the label to make sure that you’re buying the pure extract and that it hasn’t been mixed with another sweeting agent. 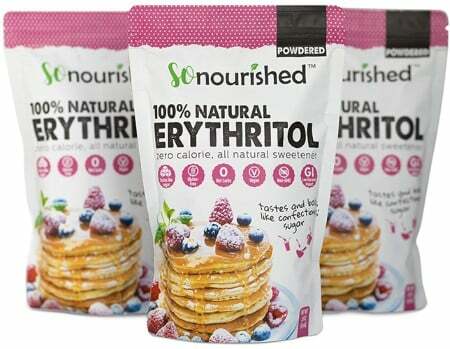 Erythritol is a naturally-occurring sugar alcohol and is largely used as a sugar substitute. Contrary to stevia, it is less sweet than sugar, gram for gram, however it contains only 6% of the calories of sugar and has a very low glycemic index of just 1. 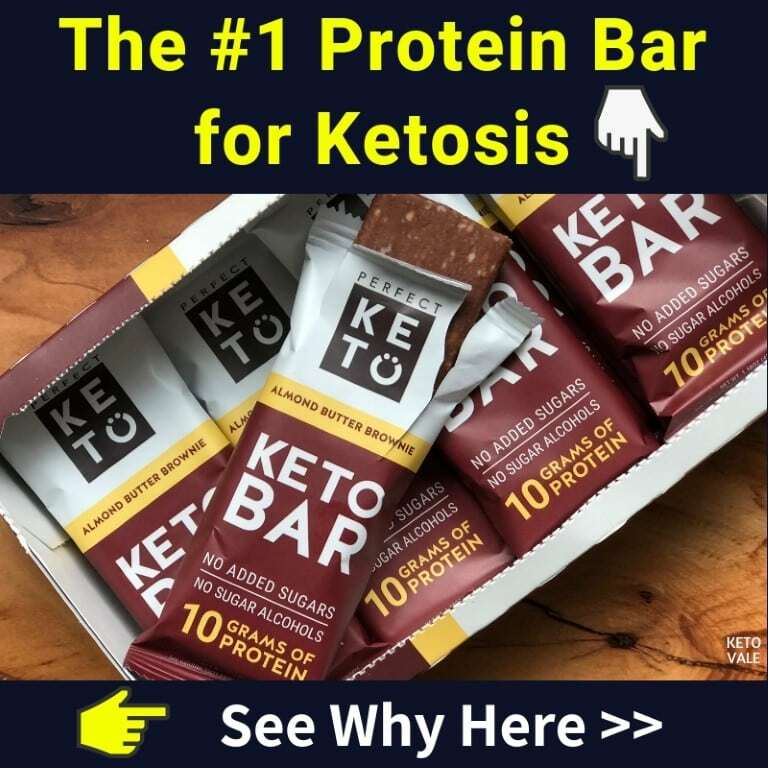 You can use erythritol in keto desserts, and it makes a good sugar substitute, since it will have the volume and consistency of sugar. You should be aware, however, that it has a slight cooling effect, which can be unpleasant for some. In order to offset that, you can mix it with another sweetener. As mentioned, stevia and erythritol make a very good combination. Sugar alcohols are known to cause digestive issues in large quantities, however erythritol is much better tolerated by most people . If you are particularly sensitive to other sugar alcohols, such as maltitol, you might wish to start with a lower dose of erythritol, in order to make sure that it has no adverse effect on you. 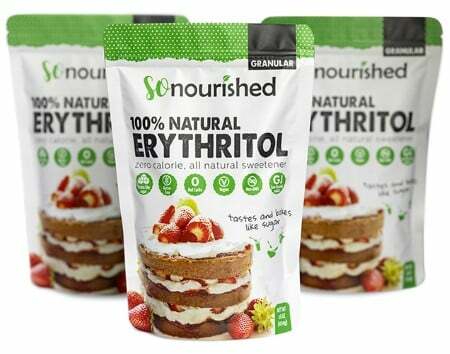 Another possible benefit of using erythritol instead of sugar is that it does not feed bacteria in the mouth (that is responsible for cavities) and is therefore protective against caries in comparison to sugar. But on the keto diet you are anyway be consuming very, very low amounts of naturally occurring sugars (in vegetables for example), so your teeth will thank you for it in the long run. Other sugar alcohols, such as Maltitol and Xylitol have a higher glycemic index than Erythritol and can cause significant gastric distress for some people, so they aren’t optimal. Monk fruit is found in China and northern Thailand, and its powder extract is another keto-friendly natural sweetener that you can use. The extract is 300 to 400 times sweeter than sugar, has no calories and does not raise blood sugar. Similarly to stevia, it is heat-stable and can be used in hot beverages or for baking. When buying monk fruit powder, make sure to check the label for additives, as dextrose is often added to sweeteners containing monk fruit, which makes the final product less than ideal for keto. 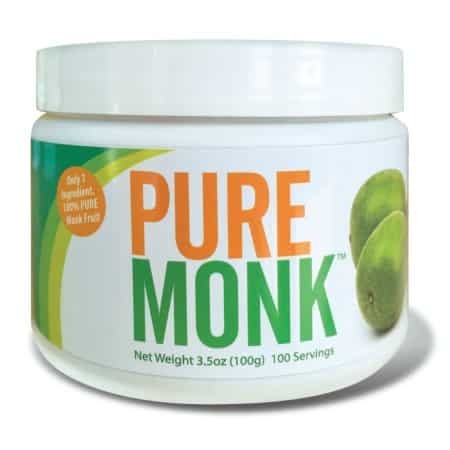 Monk fruit is safe to use, and to date no negative side effects have been documented. Some people might find the taste a bit too fruity. On the downside, monk fruit extract is still quite expensive and can be difficult to find, but if you have access to it, you can give it a try. Online stores such as Amazon will most likely have it, and sometimes Chinese markets sell dried monk fruit. In case you live near one, it is worth checking. 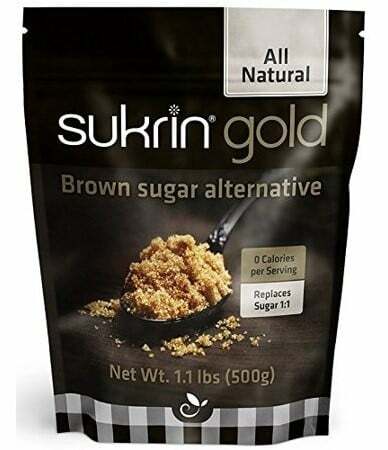 Sukrin makes a brown sugar alternative that contains zero calories and net carbs per serving and has a 1:1 replacement ratio. 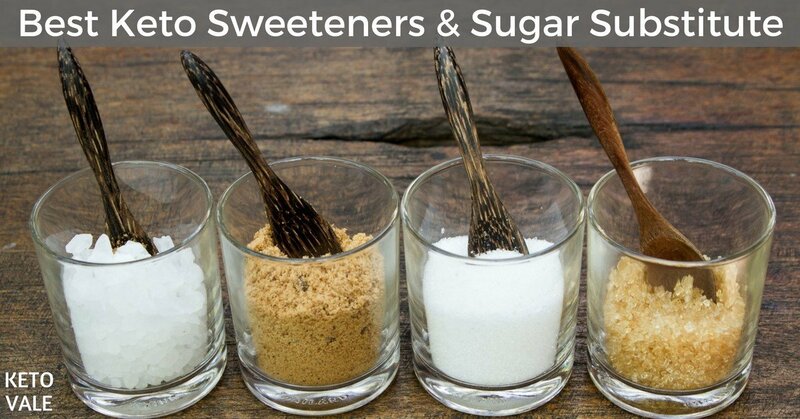 This simply means that if a recipe calls for 3 tablespoon of sugar, you can use 3 tablespoon of Sukrin goal instead. It has the look, smell, texture, and taste of the real thing, and is made of a blend of tagatose, malt extract, stevia, and erythritol. Stevia and erythritol are commonly used in keto foods as a natural no-calorie sweetener, but not everyone is familiar with tagatose. Tagatose is a natural sweetener found in some fruits, such as apples, oranges, and pineapple. It’s also found in dairy, and cacao products. It has a similar chemical formula as fructose, so it tastes great but without the carbs. Sukrin Gold has a glycemic index of less than 1, which makes it an excellent sugar substitute for diabetics and keto dieters alike. It contains no artificial flavors, preservatives or additives, and is sourced from non-GMO ingredients. You can use Sukrin Gold in the same measurements as you would brown sugar. It goes great in tea, baked goods, and sauces. It even caramelizes just like brown sugar does. Lakanto Monkfruit Gold contains zero calories and as a glycemic index of zero, which makes it the perfect keto sweetener. It looks and acts just like brown sugar would, but without the carbs. 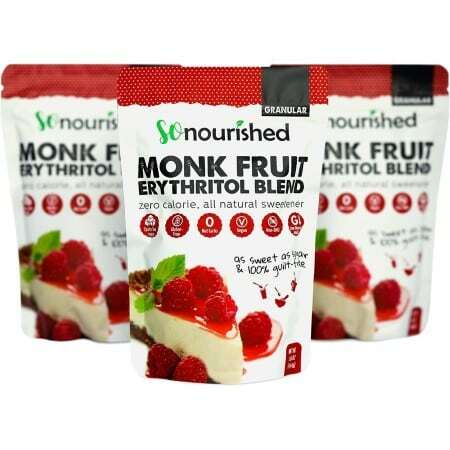 The only ingredients in this product are monk fruit extract and erythritol. There are no preservatives, additives, or artificial ingredients. It even looks like the real thing with its classic golden color! No matter what your dietary preference is, Lakanto Monkfruit Gold fits in. 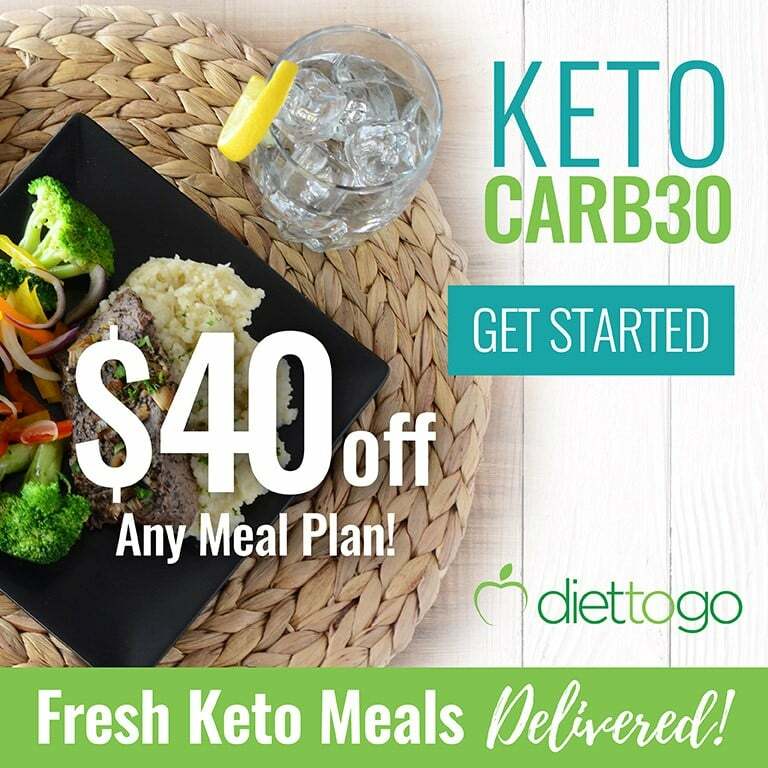 It can be used on the keto, vegan, paleo, low-carb, low-sugar, or diabetic diet. It is a great sugar substitute if you are looking to control candida overgrowth. 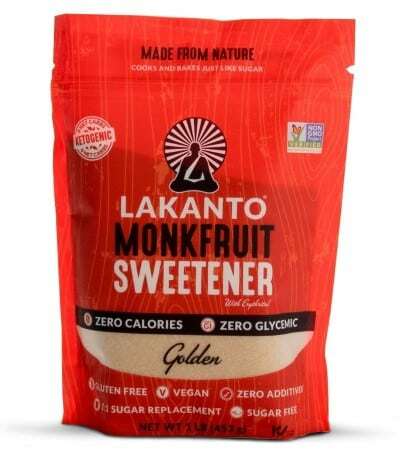 You can use Lakanto Monkfruit Gold in the same measurements as you would with any sweetener. Monk fruit is much sweetener than regular brown sugar, so a little bit goes a long way. 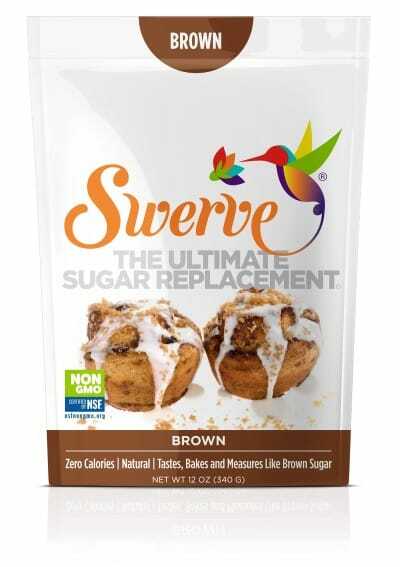 Swerve Brown Sweetener claims to be the ultimate sugar replacement. It is sweet and delicious has an appearance that is identical to brown sugar. The product also states that it does not have a bitter aftertaste associated with other sweeteners, such as monk fruit and stevia. Ingredients include erythritol, prebiotic oligosaccharides, vegetable glycerin, fruit juice concentrate for color, and natural flavors. There are no calories in this product and all ingredients are non-GMO. Oligosaccharides are non-digestible carbohydrates found in certain fruits and vegetables. They have a prebiotic effect on the body, which means they contribute to the growth of good bacteria in your gut. 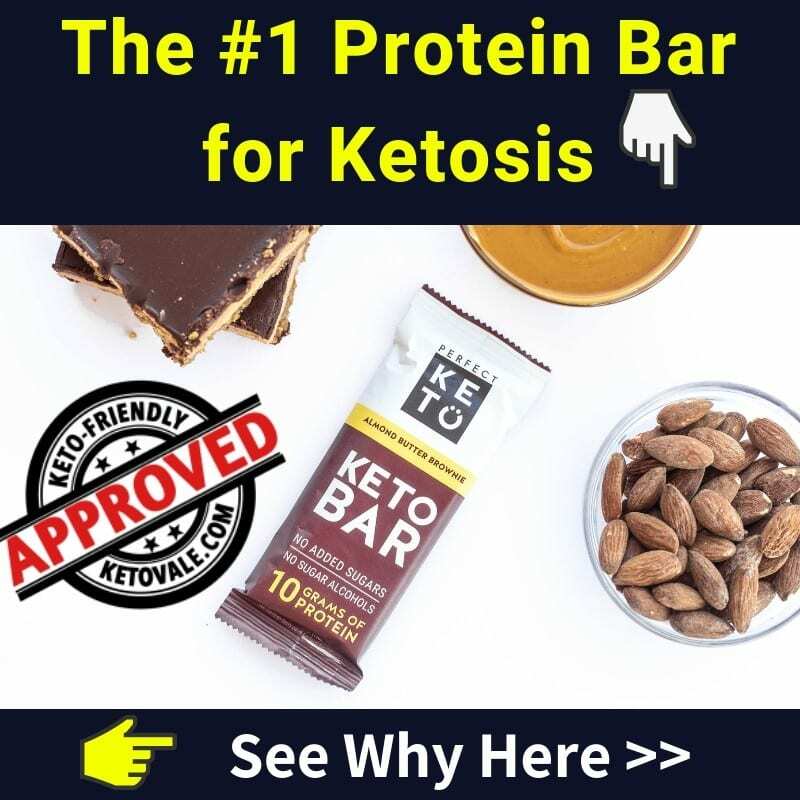 This product has a glycemic index of 0, which makes it completely keto-friendly. It’s also ideal for anyone looking to reduce their sugar intake. Swerve Brown Sweetener states that you can use this product the same way as you would use regular brown sugar. It measures the same and even cooks the same. All ingredients are sourced from North America and Europe. The company states that their ingredients will not raise your blood sugar, despite having a minimal amount of fruit juice. Artificial sweeteners are quite controversial, but that’s also the reason why they are very well studied. Different people react differently to them, and for some they can cause cravings, so you should use them with caution and be mindful of eventual side effects. For the best result, we don’t recommend using artificial sweeteners at all. The most popular of them are sucralose, aspartame and saccharin. Sucralose is 300 to 1000 times sweeter than sugar and is not metabolized by the human body, which means that most of it passes through the GI tract unchanged, while the rest is excreted with urine. Sucralose is often used in zero sugar/zero calorie beverages and in a lot of foods, and is considered safe for human consumption (1). Sucralose can have an effect on blood sugar and insulin levels in some people, especially in these who do not consume it often. If you have diabetes or a pre-diabetic condition, you might want to avoid sucralose. Additionally, sucralose might not be optional for baking. Although it was assumed to be heat-resistant, recent studies have challenged these conclusions and have found out that it might interact with other ingredients. Aspartame is one of the most controversial food additives on the market, and, as a consequence, one of the most studied sweeteners out there. It is widely used in diet soda, gum, yogurt, sugar-free candy, and many more foods and beverages. Although aspartame has been previously linked to cancer, headaches and obesity, the presumed negative effects of aspartame have not been replicated on a wide scale. Aspartame is therefore considered safe for human consumption by a great number of regulatory agencies worldwide. Although aspartame contains some calories, because of its sweetness (which is approximately 200 times higher than in sugar), the quantities that are added to most foods are so small that it is virtually calorie-free. Of course, the calories from the other ingredients are not to be ignored. Aspartame is not heat-stable, which means that you cannot use it for baking. While some people choose to avoid it, or to avoid artificial sweeteners altogether, there isn’t conclusive evidence on the need to do so. Saccharin is another artificial sweetener that is widely used in the food industry, especially for zero-calorie soft drinks, and its first use dates back to more than a century ago. It has 0 calories and is 300 to 400 times sweeter than sugar, so you’d only need a very small amount of it at a time. It is heat-stable and does not react with other ingredients, so it can be used in tea, coffee, or for baking. Its glycemic index is 0. Saccharin has sparkled a huge controversy in the late 70s, when it was linked to bladder cancer in studies on rats. However further studies have pointed out that the results for rats are, in this case, not indicative of an increased risk of cancer for humans. Since then, it has been widely studied and most regulatory bodies around the world consider it safe for human consumption, including the World Health Organisation, the US Food and Drug Administration, and the European Food Safety Authority. Some people prefer avoiding it until further studies confirm its safety. It is often sold as tiny tablets containing a single dose (for example, to sweeten your coffee), but is often mixed with other sweeteners, due to its bitter aftertaste. Before buying, make sure to check the label for other ingredients. Bottom line: If you need sugar substitutes for your low carb and ketogenic lifestyle, it’s best to stick to Stevia, Erythritol and Monk Fruit Powder. While the sweeteners and their use remain quite controversial, ultimately it’s up to you to decide which ones you want to keep in your diet (if any). There are many sweeteners that have been extensively studied and are deemed safe, however some people decide to be extra cautious and stick to natural sweeteners only. If zero-carb sweeteners make it easier for you to stick to your diet and do not provoke carb cravings, you can safely use them from time to time. By all means, you are better off avoiding sweeteners that spike blood sugar, such as maltose, dextrose, maltitol and the like, but if you need to indulge from time to time by adding some stevia to a low-carb smoothie or dessert, that’s probably completely ok to do. If you need inspiration for new keto-friendly desserts to try, check out our recipes section and don’t forget to let us know which ones are your favorites. Also, check our list of different sugar names and hidden sugar to avoid on this Keto Food List!